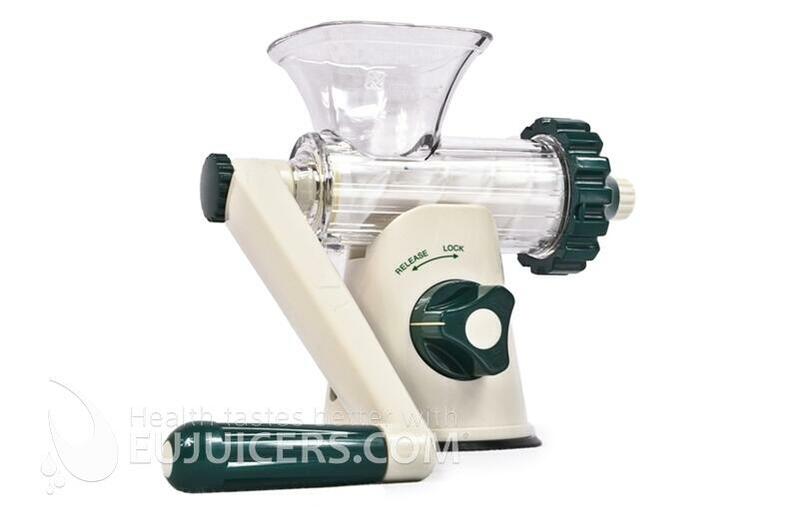 With the healthy juicer you will want to juice more because it is easier to use and clean. Afterall, what good is a juicer if you end up never using it? 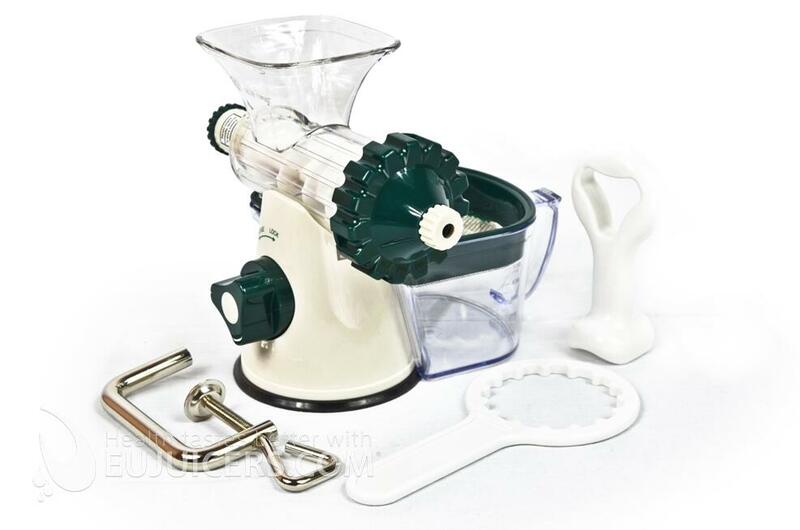 The specially designed auger easily excepts pieces of fruits and vegetables and has tremendous crushing power. Durable stainless steel inserts on the end cap and tip of the auger where the most force on the crushing is exerted, will last many years without wearing out. 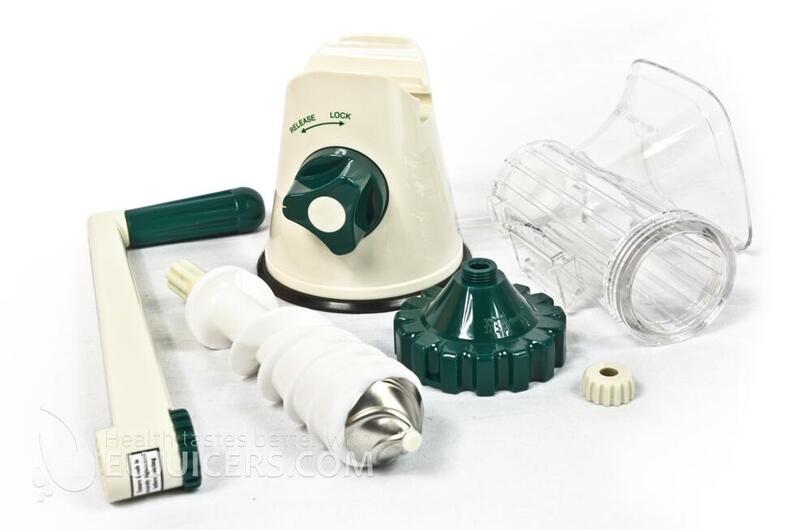 The Healthyjuicer takes minutes to disassemble and clean. Simply rinse off with warm soapy water. No metal cutting screens that have hundreds of tiny holes to clog up and must be scrubbed with a brush over and over again. All of the excess waste pulp is neatly expelled out the front of the end cap into a separate bowl for easy disposal. (Bowl not included). Healthy juicer works best with leafy greens but can handle also other fruits and vegetable for example sliced carrots or citruses deliver good results. Problems might appear with apples, pears or large carrots.